Share Your Best Golf Stories for Your Chance to Win a Trip for Six to Eagle Ridge Resort! It’s not the birdies or bogeys we make that keep us coming back for more (well, not only). No, the memories, the stories we make are some of the biggest reasons we play this ridiculous, maddening, mystifying game. 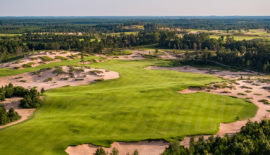 Prizes include two Laser Link rangefinders, and a weekend golf getaway at none other than Eagle Ridge Resort, a package valued at more than $2,100! For complete contest rules, please see below! How many years have you been playing golf? How many rounds of golf do you play each year? How many different courses do you play each year? Share your greatest golf story! 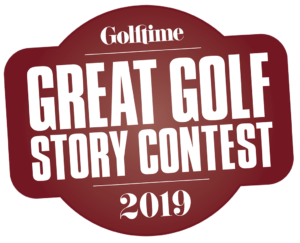 PROMOTION DESCRIPTION: The GOLFTIME MAGAZINE’S GREAT GOLF STORY CONTEST (\”Sweepstakes\”) begins on February 1, 2019 at 12:00 a.m. and ends on May 1, 2019 at 12:00 a.m. (the \”Promotion Period\”). The sponsor of this Sweepstakes is Killarney Golf Media (“Sponsor”). By participating in the Sweepstakes, each Entrant unconditionally accepts and agrees to comply with and abide by these Official Rules and the decisions of Sponsor, which shall be final and binding in all respects. Sponsor is responsible for the collection, submission or processing of Entries and the overall administration of the Sweepstakes. Entrants should look solely to Sponsor with any questions, comments or problems related to the Sweepstakes. Sponsor may be reached by email at editor@golftimemag.com during the Promotion Period. ELIGIBILITY: Open to legal and eligible residents who are 21 years of age (the \”Entrant\”). Sponsor, and their respective parents, subsidiaries, affiliates, distributors, retailers, sales representatives, advertising and promotion agencies and each of their respective officers, directors and employees (the \”Promotion Entities\”), are ineligible to enter the Sweepstakes or win a prize. Household Members and Immediate Family Members of such individuals are also not eligible to enter or win. “Household Members” shall mean those people who share the same residence at least three months a year. “Immediate Family Members” shall mean parents, step-parents, legal guardians, children, step-children, siblings, step-siblings, or spouses. This Sweepstakes is subject to all applicable federal, state and local laws and regulations and is void where prohibited or restricted by law. 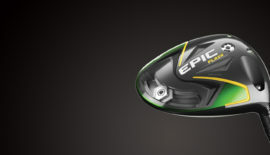 One winner will be randomly drawn to receive an Eagle Ridge Golf Extravaganza for Six People! 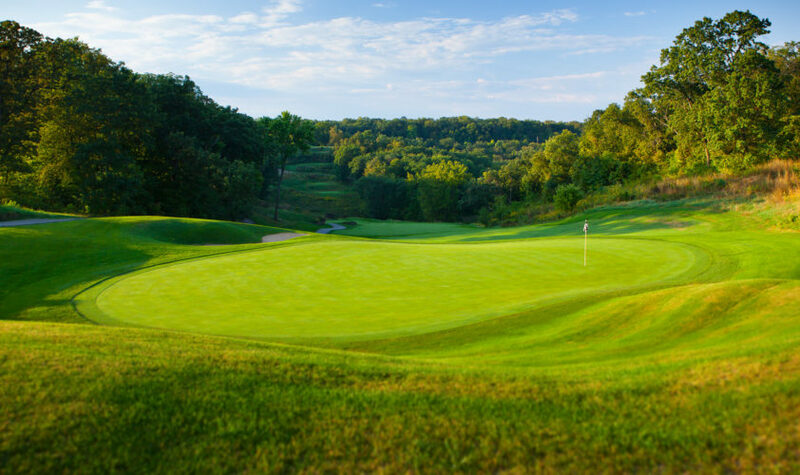 One winner will be randomly drawn to receive an amazing golf weekend at the famous Eagle Ridge Resort and Spa in Galena, Illinois. This weekend will include two days of unlimited golf (for up to six people) on one of their four courses: the legendary General, the majestic North Course, the wooded South Course or the undulating East Course (cart fees included). In addition, you will stay at one of their three-bedroom homes for two nights, and enjoy a delicious breakfast buffet at the Woodlands Restaurant. (Prize is valid thru 6-1-20.) Occasional blackout dates may occur. Value of this Eagle Ridge Extravaganza is $2,100! 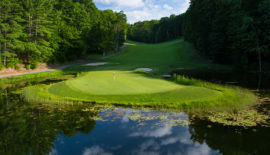 Tucked among the Galena Territory’s 6,800 rolling acres of woodlands and countryside, Eagle Ridge Resort is the ultimate golf destination with four championship courses that are challenging, scenic, and a must-play for golfers. Eagle Ridge’s crowning achievement, The General, consistently ranks among Golf Digest’s Top 100 Courses. Eagle Ridge is also recognized for its “country elegant” hotel and homes, quaint shopping, and excellent dining. This Sweepstakes is open to legal and eligible residents. All federal, state and/or local taxes, fees, and surcharges are the sole responsibility of the prizewinner. Failure to comply with the Official Rules will result in forfeiture of the prize. 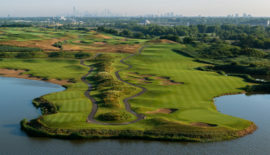 HOW TO ENTER: Enter the Sweepstakes during the Promotion Period online by visiting the entry form, which can be found on the following website www.Golftimemag.com. WINNER SELECTION: The Winner of the Sweepstakes will be selected at random from among all eligible Entries received throughout the Promotion Period. The winners will be announced with publication of the Golftime Magazine Summer 2019 issue, after the Promotion Period by Sponsor or its designated representatives, whose decisions are final. Odds of winning will vary depending on the number of eligible Entries received. WINNER NOTIFICATION: Winner will be notified by email at the email address provided in the Entry Information after the random drawing. Potential Winner must accept a prize by email as directed by Sponsor within seven days of notification. Sponsor is not responsible for any delay or failure to receive notification for any reason, including inactive email account(s), technical difficulties associated therewith, or Winner’s failure to adequately monitor any email account. PRIVACY: By entering the Sweepstakes, you grant Sponsor permission to share your email address and any other personally identifiable information with the other Sweepstakes Entities for the purpose of administration and prize fulfillment, including use in a publicly available Winners list, and agree to periodic email communication from the sponsor. WINNER LIST/OFFICIAL RULES: To obtain a copy of the Winner List or a copy of these Official Rules, send your request along with a stamped, self-addressed envelope to KILLARNEY GOLF MEDIA cc: GOLFTIME MAGAZINE’S GREAT GOLF STORY CONTEST at PO Box 14439, Madison, WI 53708-0439. Requests for the names of the winners must be received no later than four weeks after the Promotion Period has ended.